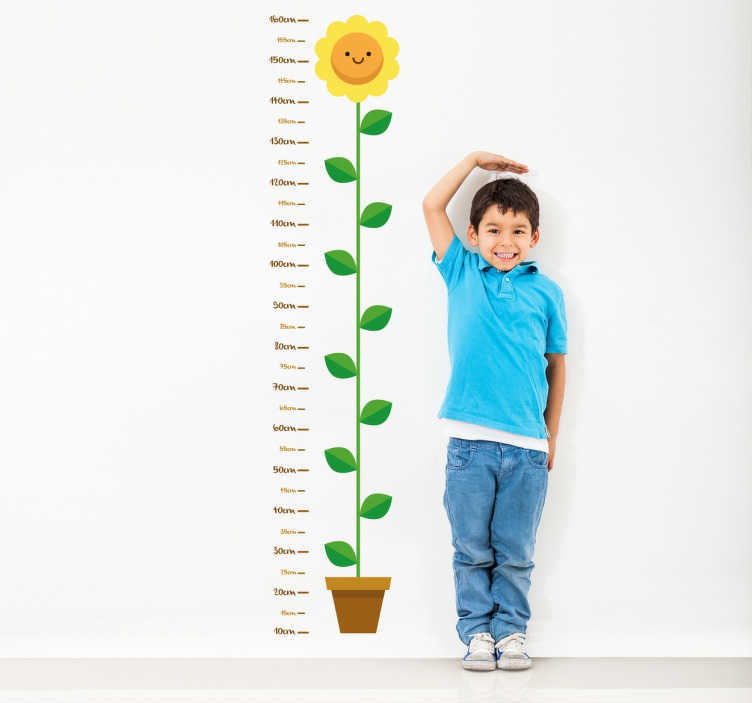 Wall Sticker that measures child's wall height with yellow flower. Child friendly and great addition to any household. This vinyl sticker is so cool and is an excellent way to keep your child busy. Imagine the joy on your child's face and image when he comes to you and says "Mum/Dad I've Grown, I've gotten bigger!". Family is the key to a successful household so why not build memories of your child's growth with this wall sticker and let the memories build and the smiles glow!